Unfortunately the sheet got moved slightly whilst cutting this one and one of the lines isn't quite perfect, doesn't effect performance, check out the picture. Not bad for 50% off! The idea behind this item was to keep the heel of my boot off the exhaust guard. 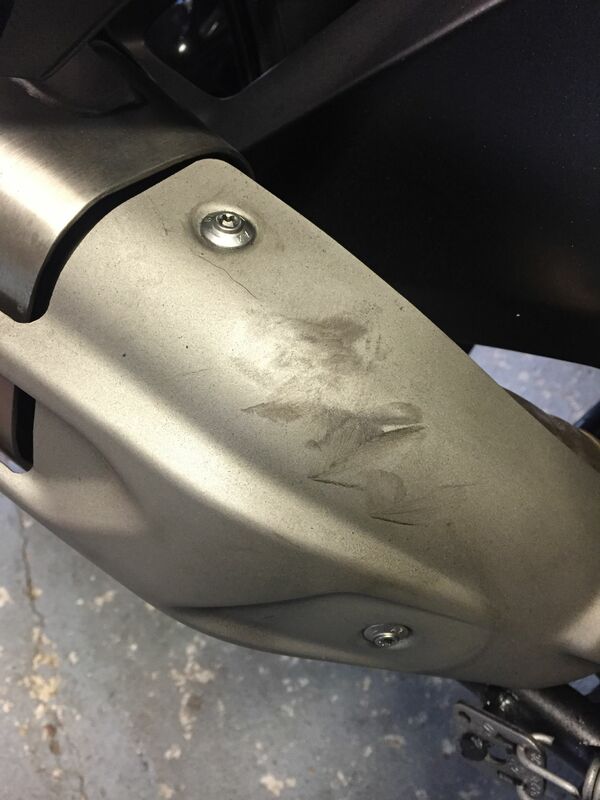 The exhaust guard seems to have a very rough finish on it and I had to scrub the surface of the material to remove the marks my boots have made. 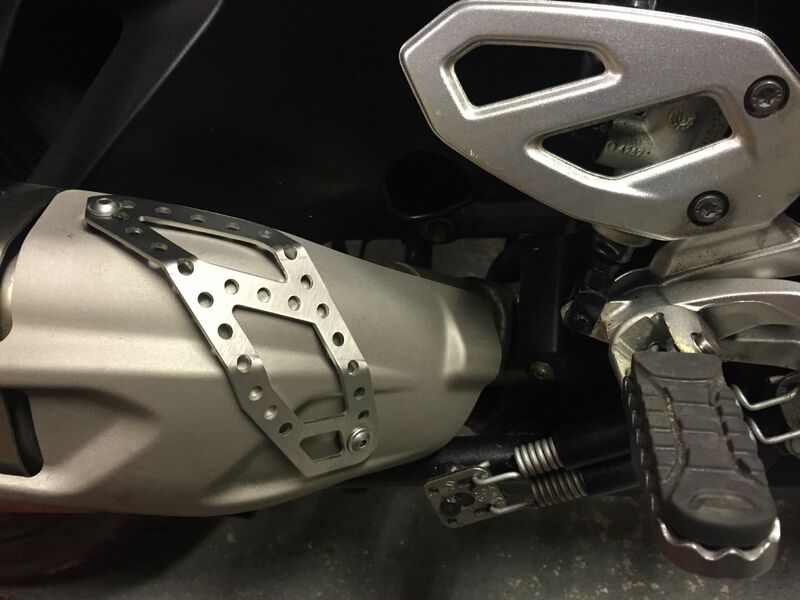 The guard I have made simply follows the form of the exhaust and stops direct contact with the heel - its also very much easier to clean, being a much less rough stainless steel. The guard comes `pre formed` and locates easily by easing the guard holes over the fastener holes, one at a time, then inserting the longer fasteners (which are stainless steel). 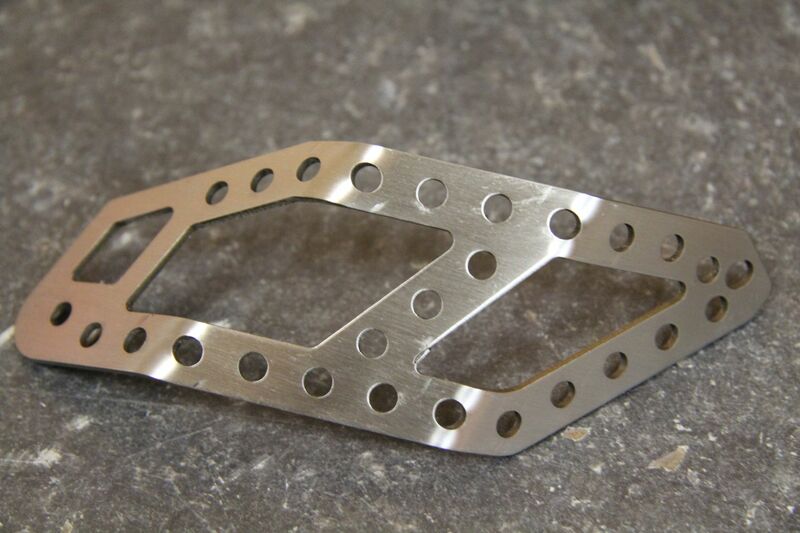 It also comes with longer fasteners and spacers.